Image PrintCopy Inc. is a Texas Corporation currently operating in an existing 2000 square feet space in a shopping center at the intersection of South Shiloh Road and Kingsley Road in Garland. Image PrintCopy has been in operation since March 2000. 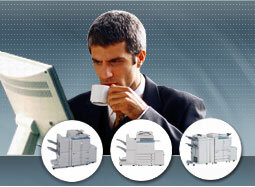 The company was formed to operate the business of copying and printing service. We're specialized in High Speed Copy, Digital Copy (CD Disk), and Color Laser Copy. Monday - Friday 8 a.m. -- 6 p.m.
Saturday 10 a.m. -- 2 p.m.
We Also Offer Great Saving On . . .
©2000-2005 Image printCopy,Inc. All Rights Reserved.